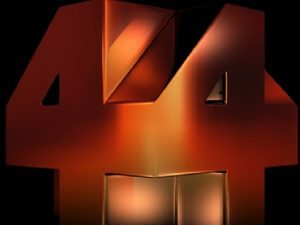 ABC Four Corners program, aired 16 May 2016, titled “Supplements and Safety” is based on a media story from the United States about products sold in North America. It omits well-established facts attesting to the safety and stringent national regulation of such products in Australia. Mr Carl Gibson, chief executive officer of Complementary Medicines Australia (CMA) says the ABC flagship program’s interpretation of the original joint New York Times and PBS Frontline story is “unnecessarily alarmist and designed to incite fear as opposed to informing people”. It “has no basis here in Australia” according to the CMA. Mr Gibson added that the CMA is disappointed that Four Corners’ producers chose to air the story about US products at all but, having chosen to proceed and despite agreeing to do so, “they failed to provide any level of balance by acknowledging the strict regulatory environment for Australian complementary medicines”. CMA informed the ABC last week that comparisons cannot be drawn between US and Australian supplements as the quality control environment in the US is very different to here in Australia. “Placed in the correct context, as it should have been, the story highlights that consumers need to be aware that products purchased online from overseas are not subject to the same regulations as those enforced in Australia,” said Mr Gibson. •Australian products only use ingredients assessed as safe and allowed at safe levels by the Therapeutic Goods Administration (TGA). This is not so in the US. •The TGA mandates verification testing of all active ingredients before a product is manufactured, which provides assurance to Australian consumers that they receive what’s stated on the label. This is not mandatory in the US. •Every batch of finished tablets/capsules is tested for active ingredients within the label claim. •Stability studies ensure that the product remains potent and safe throughout its shelf life. •Product quality reviews ensure that quality data is aggregated and tracked over time, allowing the industry to identify and act on any emerging trends. •Adverse events are rigorously captured and monitored by the TGA so that any emerging issues can be identified and addressed quickly. The rigorous regulation of the Australian supplement industry is designed to safeguard consumers, and implement quality and safety standards that may not be enforced in other markets. This highlights to practitioners and consumers the importance of buying trusted Australian brands. Emed primarily provides practitioner only ranges of natural medicines. These are brands that can be trusted for quality control and guarantee that what is written on the label is in the product. To read the full CMA statement click here.